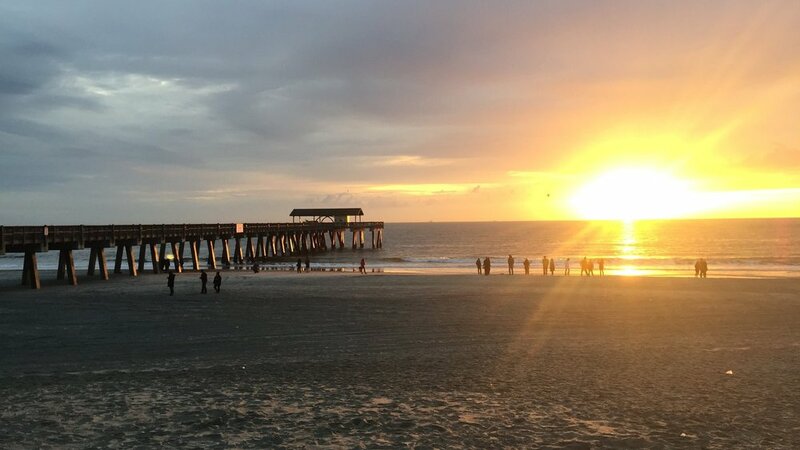 Over the course of a few Decembers in my teenage years, I would travel out to Tybee Island to work at the timeshare Tybrisa. That meant waking up early and driving, blinded, into the rising sun to assist the maintenance manager in all things repair, refurbish, and renovate. Sometimes one of my friends would join me for a few days, and our treat to ourselves at the end of a long week of work was to get lunch at Spanky’s. In December the parking lot outside of the restaurant would be empty, and in those days the dunes there were quite low, so we could sit down by the window and watch the frigid ocean while we chowed down on the Spanky’s classic of spuds, chicken fingers, and that awesome honey-horseradish sauce. Once or twice since then I’ve had basically that same meal while out at Tybee, maybe swapping grouper fingers for chicken, but you can get Spanky’s in so many other locations. 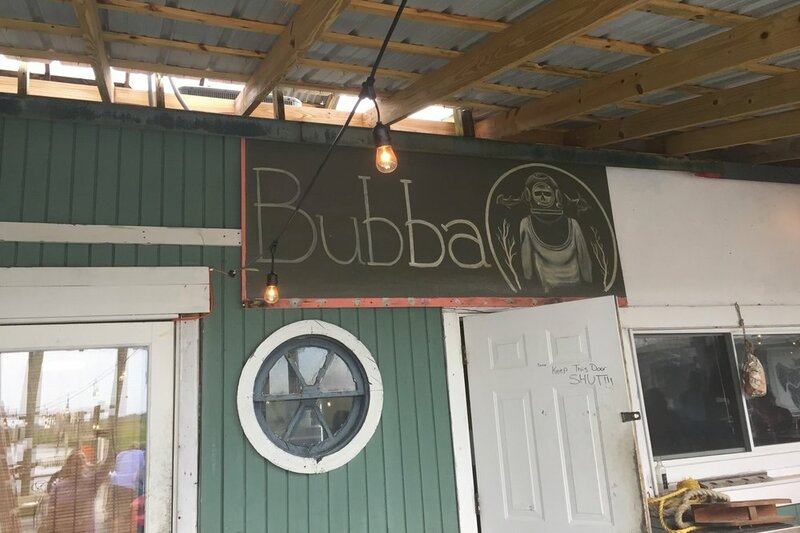 The problem is, there really aren’t that many good places to eat on the Island, and the truly exceptional spot of recent years, Bubba’s Gumbos, is way back by the bridge and not exactly a beach destination. One day I’ll give the folks at Bubba’s their due with a nice write up, I promise. I was, of course, correct and things did change and, as far the menu is concerned, not necessarily for the better. Gone are some of the more intriguing or exciting menu items such as the “hog wings”, instead replaced by regular chicken wings. No more Mexican Street dog, though the elote remains. They upped the price and shrank the portion of the poke dish, and just generally made the menu more basic and routine for the area, e.g. peel-n-eat shrimp, fried seafood. Also, where are the oysters? Everywhere on Tybee ought to be serving them. Otherwise, nothing bad really, but nothing that is going to make me go there on its own merit. Then came the recent weekend debacle of international implications. We had visitors in from abroad (Europe, South America) and I took them to Tybee on a fine, sunny Saturday to enjoy our version of a beach. While I knew our brown water would not impress, I hoped at least sitting on a deck in the sun, surrounded by dunes, with a view to the water would give us a nice, potentially memorable, setting for a decent meal. Thus, we found ourselves at The Deck and we are all quite hungry. This never happened. Nobody even brought water. Nobody did anything but ignore us. This went on for about 15 minutes and I just thought, well they are busy of course. My friends started to be uncomfortable. They’d been in the States with me for almost two weeks and they knew something was amiss. You could expect this sort of treatment in Paris, or Buenos Aires, but Tybee? Then the group to our right got up and their table was cleared. A couple was sat down and given menus. Within minutes a server was at their table taking their drink order. I was flabbergasted. I was irate. Twenty minutes had passed and no one had even looked our way for me to wave them down. I nearly flipped the table over as I rose and told my friends it was time to give up on the place—not just then, but for all the years of all time left to men on this Earth. In short, I was done with The Deck. I shook the sand from my flip-flops and we headed out. This photo is from their website, but it is misleading. They are not on the beach. Since we were so hungry, I didn’t want to go far. Thankfully, almost right across the street, there was a new resto in the old MacElwee’s space. 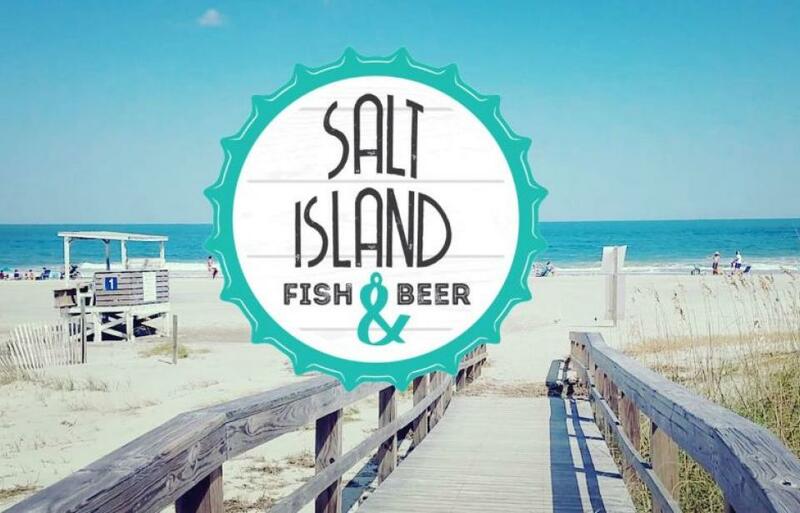 It had been renovated and branded as Salt Island Fish & Beer. I’d heard nothing about the place, but the sign looked nice, and anyway it was food, so we took a chance. Inside was very pleasant. It was clean and kind of hip and there was good light. We sat by the window and were immediately helped by a friendly young lady who gave us a rundown of the menu. She pointed out that they focus on seasonal and local, which is par for the course these days, and then highlighted a few options for us. At first I was a little taken aback by the prices, but then I started to look at the dishes. They were different, unique, and even a little exciting. Since my friends were still getting their Coastal Empire education, I choose some things from the menu that would be indicative our local cuisine: hush puppies, crab soup (pretty standard, but with the sherry already added and some nice yellow corn), shrimp po’boy and a wild card called "blue crab fry." What came out bore a resemblance to what I know and love, but gloriously transformed in creative ways. Everything was exceptional, I’ll say that up front, but sadly I only took one picture. Let me therefore paint pictures with words. To start, the hush puppies were filled with beer cheese that was purportedly made of brown ale, cheddar, and pepper jack. They sat in a nice pool of tomato bacon jam and came about 8 to the plate. I couldn’t taste the pepper-jack, but the cheese was definitely there and a welcome departure from the norm. The pups themselves lacked seasoning, but the tomato bacon jam more than compensated for that with a rich sweetness that completed the mouthful perfectly. Still, when I think about hush puppies nowadays I think about Bubba Gumbos. Those babies are sweet and salty and unbeatable with the honey butter. That said, these beer cheese bombs were certainly a refreshing take on a classic. My shrimp po’boy was a work of sheer genius. Firstly, they toasted the bread which is always a good move. The shrimp on the sandwich were enormous, more akin to baby lobsters, but more importantly was the fact that they were resting on top of a huge slab of pork belly. This was a modification I was heavily in favor of and when I got a perfect bite of fried shrimp, toasted bread, sauce, and pork in my mouth I almost blacked out from deliciousness. That’s a bit hyperbolic, but man it was a good mouthful of flavor. The tomatoes were unnecessary but easy to remove. The fries were thick and crisp and I’d eat them with anything any day. Finally, I must talk about the dish my friend ordered for himself: the “blue crab fry” which is singular on the menu but is basically blue crab fries. Imagine a big plate of those fries you see next to my sandwich, but covered with cheese and blue crab meat that’s been sauteed with onions and peppers in the manner of a deviled crab preparation. Then, imagine an entire half-head of oven roasted garlic served alongside some aioli (i.e. fancy mayo). It’s simple to describe what it was, but impossible to describe how happy I was that it exists. I’m constantly confused as to why blue crab isn’t in or on more dishes in this town—our waters are full of the blue mud bugs. The idea of crab meat on everything is my idea of good seafood. That and oysters, which were sadly missing from this menu as well but that’s another story. I can’t wait to go back to Salt Island just to tuck back into those fries and get a proper photo. Salt Island redeemed the day for us, and I hope it sticks around and stays golden.